Firefighters take a break and eat breakfast while fighting a fire in Prophetstown's downtown district, Monday, July 15, 2013. 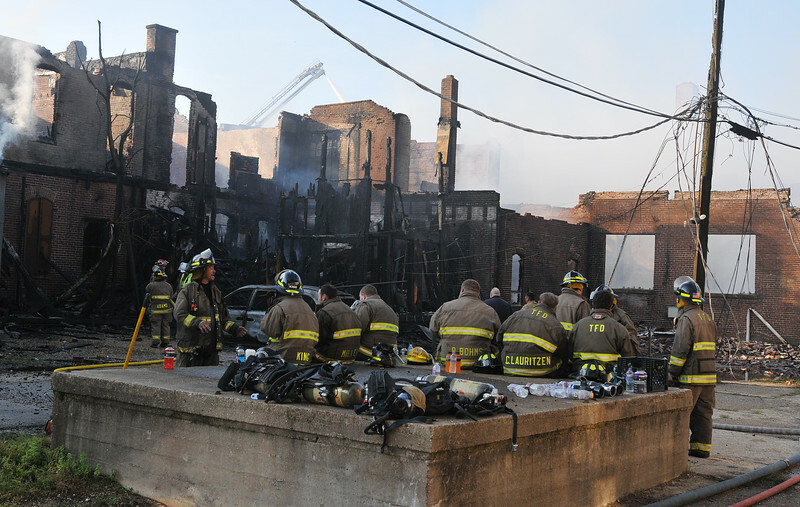 The early morning fire destroyed eight buildings and swept through about 20 apartments above the businesses. Residents and firefighters were able to evacuate everyone and no one is believed to have been injured. More than 30 fire departments, some from as far away as Paw Paw, Sublette, and Savanna, and Comanche in Iowa,responded to calls for help.